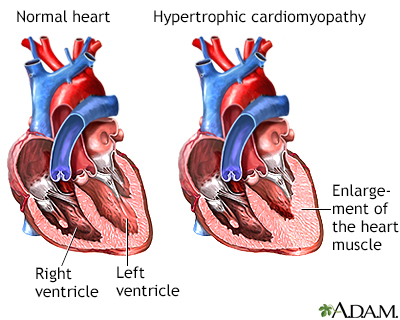 Hypertrophic cardiomyopathy is the thickening of the muscles that make up the heart. The thickening may interfere with the normal functioning of the heart by narrowing the outflow of the ventricle; reducing the ability of the heart to relax and fill with blood during the relaxation phase; or reducing the ability of the valves of the heart to function properly. 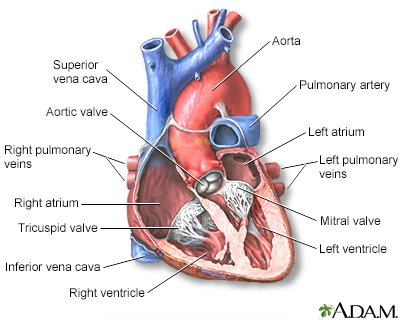 Any situation that increases the contraction or rate of contraction of the heart muscle can worsen these symptoms. 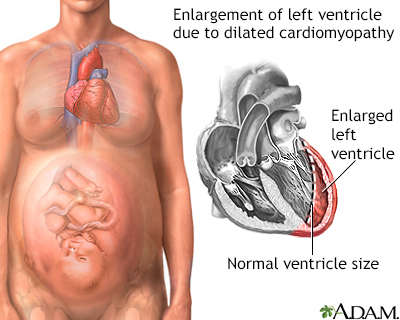 Peripartum cardiomyopathy is a rare disorder in which a weakened heart is diagnosed within the last month of pregnancy or within 5 months after delivery, without other identifiable causes for dysfunction of the heart. 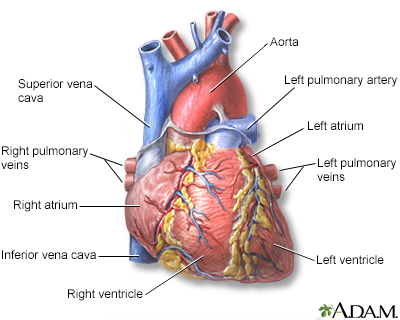 The heart muscle becomes enlarged and weakened and cannot pump blood efficiently. 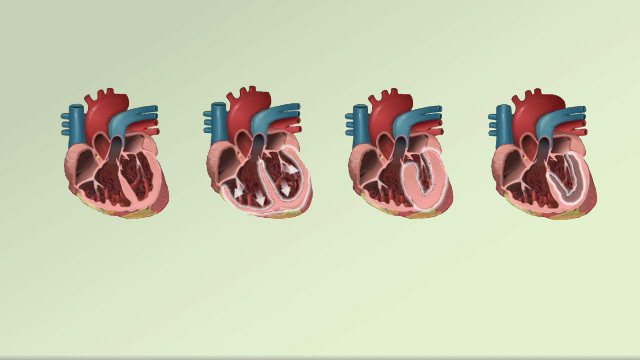 Decreased heart function affects the lungs, liver, and other body systems. 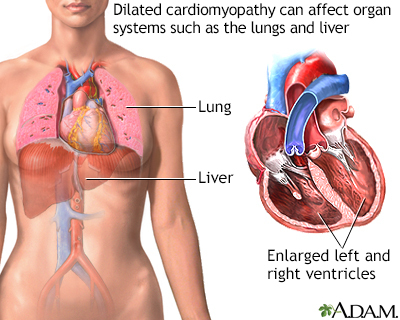 Types, causes, symptoms, health risks, and treatment of cardiomyopathy.